NASHVILLE, Tenn. (October 13, 2015) – Multi-talented country hitmaker, Phil Vassar, wanted to capture the essence of his loyal fans in his new music video, “She’s On Her Way,” and after hundreds of submissions, he did just that in an acoustic version released on Vassar’s Facebook, Twitter and YouTube. Directed by Rob Chianelli, the video showcases Vassar belting out “She’s On Her Way” in his home studio covered in fan photos from floor-to-ceiling. The music video intertwines momentous moments submitted by his fans, like birthdays, proposals and weddings, while Vassar shows off his accentuated vocal runs. A fan favorite during his current #noPHILter tour, “She’s On Her Way,” penned by Vassar, Kim Nichols and Jeff Outlaw, was originally released on Vassar’s 2009 album Traveling Circus. “She’s On Her Way” is available for download on iTunes here. “Phil Vassar has always had a gift for touching people with a great song,” said award-winning journalist Deborah Evans Price. “He does that again with “She’s On Her Way,” a loving tribute to his two beautiful daughters that so many other families have adopted as their own song. The accompanying video is a beautiful piece of art that incorporates photos and videos from his fans that gives them an opportunity to share their cherished memories with the world. Leave it to Phil Vassar to give his fans such a special gift. 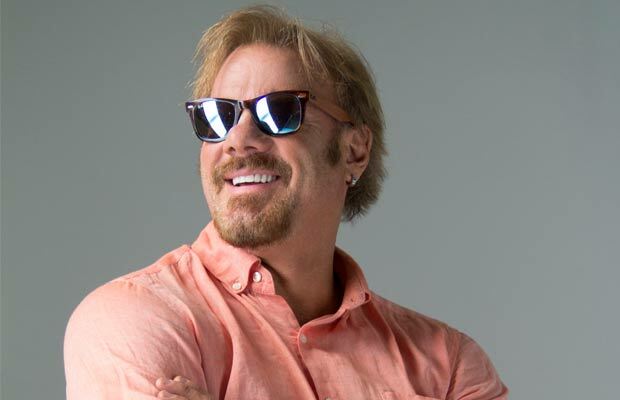 Follow Phil Vassar on Facebook, Twitter, Instagram and YouTube. Country music hitmaker Phil Vassar made his name as a chart-topping songwriter before landing a record deal and becoming a solo artist in his own right. Vassar’s songwriting career blossomed in the mid-’90s when he landed a publishing contract with EMI and penned hits for Collin Raye (“Little Red Rodeo”), Alan Jackson (“Right on the Money”), Tim McGraw (“For a Little While”), Jo Dee Messina (“Bye Bye,” “I’m Alright”), and BlackHawk (“Postmarked Birmingham”). He signed a record deal of his own with Arista in 1998 and was named ASCAP’s Country Songwriter of the Year in 1999. His self-titled debut album was released in 2000, and the lead single, “Carlene,” shot into the country Top Five; its follow-up, “Just Another Day in Paradise,” went all the way to number one. “Six-Pack Summer” also reached the Top Ten, and yet another single from the album, “That’s When I Love You,” became Vassar’s third Top Five hit in early 2002. Vassar was also named ACM’s Top New Male Vocalist in 2002. Phil Vassar was certified gold for sales of half a million copies, and its follow-up, “American Child,” was released later in 2002. The title track gave Vassar yet another Top Five single. Prayer of a Common Man appeared in 2008 from Universal South.